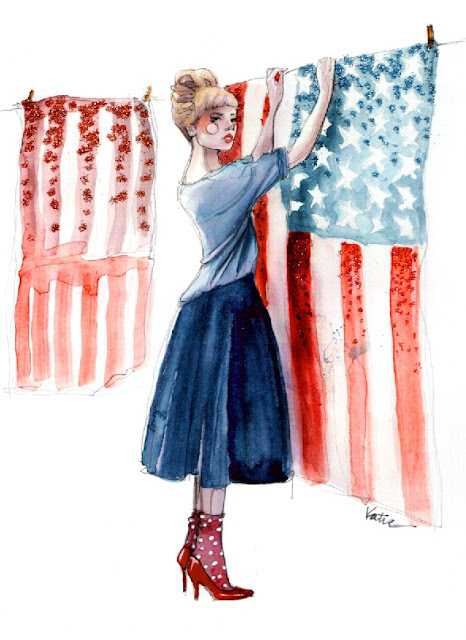 Lady Go Lightly: Happy 4th! Hope you all are having a wonderful 4th of July. This is a pretty awesome picture. Spotted here. I am making my awesome strawberries and cream cake, but adding blueberries this time for some patriotic fun. We'll be enjoying the day with friends and family. p.s. I love sparklers. BEST part of this holiday.